Last year’s hit film Interstellar used real scientific equations to depict what happens when a team of space farers venture near a supermassive black hole and it certainly led to some good science. The real black hole was deemed too confusing for audiences, and some of the science had to be toned down was reported in a joint paper published in the journal Classical and Quantum Gravity from the movie’s visual effects team and scientific consultant. When the Interstellar team began working on simulations for the film, they realized that current technology wasn’t up to scratch. Their visualizations of stars flickered when scaled up to the 23 million-pixel resolution of an IMAX screen. Instead, they had to create an entirely new simulation model, which they named DNGR — or, the Double Negative Gravitational Renderer. To get rid of the flickering and produce realistically smooth pictures for the movie, we changed our code in a manner that has never been done before, Instead of tracing the paths of individual rays of light, we looked at bundles of light, creating a smoother moving image than ever before seen. This proved especially fruitful for visualizing gravitational lensing — an effect where light is bent around massive objects as it travels through space. It’s these visualizations that could help astrophysicists model more cosmic oddities in the future. 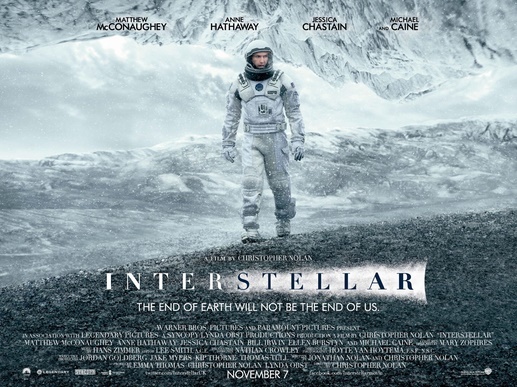 Interstellar’s black hole, Gargantua was created by physicist Kip Thorne of the California Institute of Technology, who wanted to make a realistic movie about black holes and movie’s director and co-writer Christopher Nolan along with with London-based visual effects studio Double Negative. Published papers claimed that Gargantua in the film wasn’t the most scientifically accurate one. In the movie, Gargantua’s accretion disc — the glowing ring of matter being pulled around, above, and below the black hole — was created at a relatively early stage, and has a fairly symmetrical design with a red tingle to the light. However, by adding extra detail to their code, the scientists were able to create a more accurate image of Gargantua. The final version takes into account the vast rotational forces that would be created as the black hole spins. Not only do these forces throw matter to one side of the black hole, they also can change the color of the light for the observer. That’s the Doppler Effect! “We base it in science, but we always give control so that artists can change it. The first images we gave [director Christopher Nolan] didn’t have the Doppler shift, and I think he fell in love with them,” said James. The techniques developed for Interstellar could have unexpected benefits beyond black holes. James says he’s been emailed by researchers on a NASA project planning to study spinning neutron stars who say the team’s equations could help them interpret real astronomical data. “Initially when the film came out everyone was really excited that real science was being used to make films. As film makers we’re now really excited that our science might get used in NASA projects to do things we’ve never thought of,” said James. Now let’s hope that the representation of a black hole in Interstellar which was based on real science, may also help tackle researchers’ problems depicting these gravitational points.